City Park is as magical and unique as the city of New Orleans. The 1,300-acre outdoor oasis has enchanted New Orleanians since 1854, making it one of the nation’s oldest urban parks. Each year, millions of visitors stroll under the same historic oaks and picturesque moss canopies that served as the backdrop for dances, concerts and even gentlemanly duels or “affaires d’honneur” for generations. Today’s City Park offers something for everyone. Stop and smell the roses in the Botanical Garden. 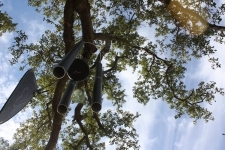 Enjoy art in the open-air Besthoff Sculpture Garden. Stroll through the sprawling green space or get active on the park’s biking, jogging, and walking paths. Practice your serve on one of 26 tennis courts or hit the links on City Park’s new 18-hole golf course. The park also offers a host of family-friendly activities, including the one-of-a-kind antique wooden carousel in the Carousel Gardens Amusement Park – a hand-carved marvel of “flying horses” that has been a family favorite for nearly 100 years. 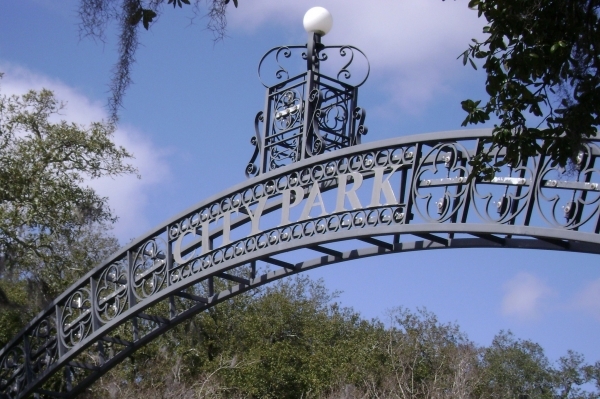 The story of City Park was shaped by two major events: the Great Depression and Hurricane Katrina. During the Great Depression of the 1930s, the Roosevelt Administration invested $12 million in developing the park as part of the Works Progress Administration (W.P.A. ), which employed 20,000 men and women to build roadways, fountains and even Tad Gormley Stadium. Much of the art found throughout the park originated in the W.P.A. era. The failure of the federal levee system following Hurricane Katrina in 2005 left 95 percent of City Park sitting in floodwaters for weeks, inflicting $43 million in damages to the park alone. The public responded with an overwhelming outpouring of support that has funded significant progress in not only repairing, but also improving City Park. Today’s park is home to ancient oaks, modern art and everything in between. Drop by to discover the beauty of a live performance, 160 years in the making. Preserve and improve City Park spaces for recreational, educational, cultural and beautification purposes. Please click here to contact the LLA Hotline to report fraud.